Do you often feel tired, worn out, drained or depleted? Have these symptoms persisted to the point that being fatigued is part of your life? Chronic fatigue is a common complaint of the people we coach at DrJockers.com. Chronic fatigue can seriously affect a person’s quality of life and wellbeing. It can negatively impact all aspects of their life including family life, social relationships, and work performance. Fatigue can be a symptom of numerous health conditions such as hypothyroidism, sleep apnea, and anemia. It is often related to poor diet and lifestyle factors. Therefore, addressing poor dietary habits and lifestyle factors is a critical first step. Chronic fatigue is when you are tired, worn out, drained and depleted most of the time. This profound and unrelenting exhaustion typically develops over time and it can be hard to pinpoint when it first started (1). It impacts your physical, emotional and psychological well-being. Many people consider chronic fatigue normal and a necessary symptom of having a busy life. The fatigue has persisted for so long that they do not remember the last time they had energy or felt well. At least 30% of American adults have chronic fatigue (2). Fatigue is a common complaint of a third of patients who go to their primary care doctors in the United States (3). Fatigue is more common in women than in men. It is associated with adverse health outcomes such as mortality, morbidity, and disability. Approximately 15% of people with chronic fatigue have chronic fatigue syndrome (CFS). CFS is a complex and complicated disorder that is characterized by chronic and extreme fatigue (4). It is also known as systemic intolerance disease (SEID) or myalgic encephalomyelitis (ME). Possible causes or triggers of CFS are viral infections or immune system issues. Imbalances in the hormones produced in the hypothalamus, pituitary glands or adrenal glands may also contribute to CFS. Not everyone with chronic fatigue has CFS. There are other conditions and causes linked to fatigue. Many factors can play a role in chronic fatigue. A specific cause of fatigue is only found in about 5% of people suffering from fatigue. For the other 95%, there is no specific cause. In addition to CFS, chronic fatigue is a main symptom of fibromyalgia. Fibromyalgia is a chronic pain syndrome characterized by widespread nonarticular pain, stiffness, and fatigue. Additional underlying health conditions that can cause chronic fatigue include iron deficiency anemia, chronic infections or inflammation, hypothyroidism, sleep apnea, diabetes, autoimmune diseases, and cancer. Too little or unrefreshing sleep, lack of or excessive exercise, chronic stress, anxiety, and depression are all linked to fatigue (5). Perhaps the biggest contributors to fatigue are poor diet and lifestyle factors. Fortunately, these factors are within your control. Let’s look closer at the importance of diet. The Standard American or Westernized Diet is full of processed foods, added sugars, refined carbohydrates, and toxic fats. This diet lacks the critical nutrients necessary for our bodies to function and creates inflammation throughout the body. In turn, your energy is depleted and chronic fatigue results. One of the most important strategies to reverse this pattern is to consume an anti-inflammatory, healing diet. An anti-inflammatory, healing diet is a plant-based diet that includes healthy fats and clean-sourced protein. This diet promotes energy and reduces fatigue by lowering inflammation, stabilizing blood sugar, reducing your toxic load, providing critical nutrients, and supporting healthy blood pH levels. Anti-inflammatory foods are whole, unprocessed foods. These include a variety of low carbohydrate, low glycemic, colorful vegetables, fruits, and herbs. Low glycemic fruits include lemons and limes, grapefruit, berries, and granny smith apples. Clean-sourced protein sources are grass-fed, pasture-raised meats and wild-caught fish. Healthy fats are a very important part of a healing diet. Healthy fats are found in coconut, olives, avocados, and their oils and in grass-fed butter and ghee. 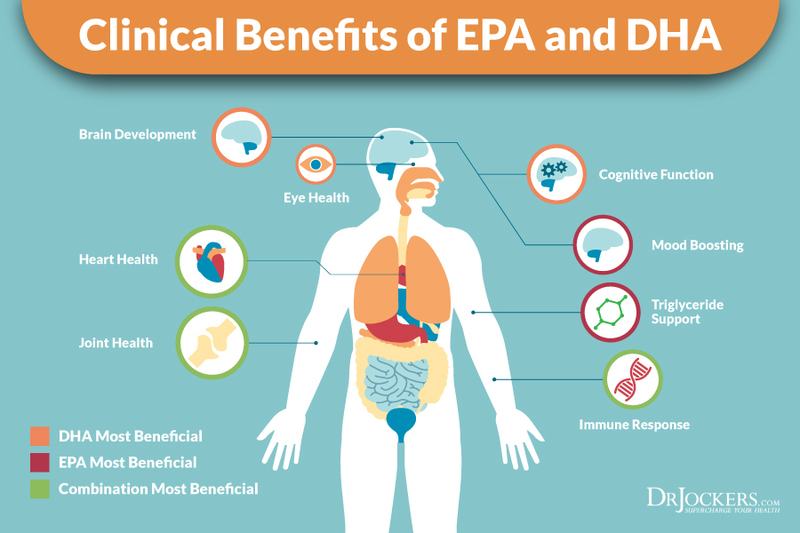 Omega-3 fatty acids and conjugated linoleic acid (CLA) found in wild caught salmon and grass-fed beef and dairy are fats with many health benefits. These healthy fats are an efficient source of fuel for the body to combat fatigue and support your energy levels. Pro-inflammatory foods are refined sugars and starches and processed foods. Toxic fats such as trans-fats and processed vegetable and seed oils and conventionally-raised meat and dairy products are highly inflammatory. These foods increase blood glucose levels, upregulate inflammation, and create extra acidity in the tissues. This diet is extremely damaging to the body and can deplete your energy levels. A pro-inflammatory diet also lacks nutrients such as vitamins, minerals, and enzymes. Nutrient deficiencies are common with chronic fatigue. Let’s look at specific nutrients that can reduce fatigue and improve your energy. The trillions of cells in our bodies rely on vitamins and minerals to generate energy. Many people that struggle with chronic fatigue are deficient in key nutrients. Important nutrients for optimal energy production are magnesium, vitamin D, vitamin C, iron, potassium, vitamin B12, B complex, and zinc. Mitochondrial support nutrients and exogenous ketones can also reduce fatigue and improve energy levels. Magnesium is the “master mineral” and plays an essential role in over 300 metabolic reactions in the body. Around 68% of Americans consume inadequate amounts of this important mineral. Magnesium deficiencies are linked to chronic fatigue and many other health issues. Low levels of magnesium reduce the mitochondria’s ability to resist free-radical damage and can result in low-grade inflammation. Oxidative stress and chronic inflammation can cause chronic fatigue. Optimizing magnesium levels can be a powerful strategy for reducing fatigue and improving energy. In one study, supplementing with magnesium was shown to significantly improve energy levels, pain levels, and emotional reactions in patients with chronic fatigue (6). Magnesium is required for the production of adenosine triphosphate (ATP) (7). ATP is used by our bodies to for virtually every physiological process that requires energy. ATP must bind to magnesium to be biologically active. Magnesium also helps with chronic fatigue by relieving stress and promoting sleep. It does this by balancing blood sugar levels, relieving physical tension, and regulating melatonin and GABA levels in the brain. Over time, stress and sleep deprivation can result in chronic fatigue. The top food sources of magnesium are leafy greens such as Swiss chard and spinach, sea vegetables, sprouts, bananas, and avocados. Grass-fed dairy and wild-caught fish are rich in magnesium. Pumpkin seeds, nuts, dark chocolate, and coffee are also good sources of magnesium. Brain Calm Magnesium contains several forms of magnesium including the Albion forms malate, lysinate, and glycinate. It also contains magnesium L-threonate, the only form of magnesium proven to cross the blood-brain barrier. Boosting your magnesium level is critical for restoring your energy levels and relieving chronic fatigue. Low vitamin D levels are highly prevalent in people with chronic fatigue (3). Vitamin D is one of the most powerful nutrients for modulating and coordinating the immune system. Low vitamin D levels are also associated with the activation of numerous inflammatory processes which can lead to chronic fatigue. 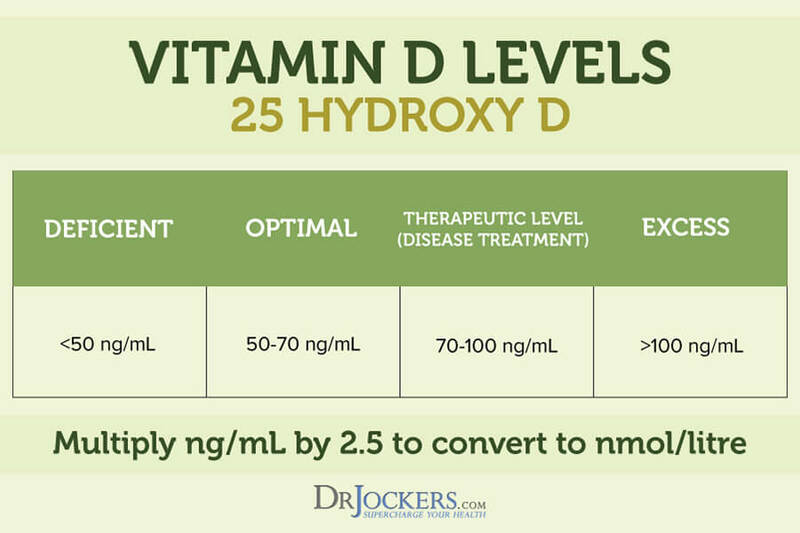 Optimal vitamin D levels are between 50-80 ng/ml. D3 is the biologically active form of vitamin D. It is more potent in raising and maintaining vitamin D concentrations than D2. Our bodies can produce vitamin D3 in response to sun exposure. It is beneficial to get 15-20 minutes of sun exposure daily. In addition to sun exposure, several foods are rich in vitamin D. The best dietary sources of vitamin D are wild-caught salmon and fatty fish, cod liver oil, grass-fed butter, and raw cheese, egg yolks, mushrooms, and beef liver. Many people do not obtain adequate levels of vitamin D from sunlight and foods. To obtain optimal vitamin D levels, supplementation with a high-quality vitamin D supplement can be extremely beneficial. It is important to keep vitamins D3 and K2 in balance. D3/K2 Power has the ideal ratio of these two nutrients. Vitamin C is an essential nutrient that is required for our bodies to properly function. It is used to repair damaged tissues and to make neurotransmitters and enzymes. Vitamin C is necessary for your immune system and nervous system to function properly. High concentrations of vitamin C are stored in your adrenal glands (8). The adrenal glands are small but critically important, endocrine glands that sit on top of the kidneys. They produce hormones that help regulate your metabolism, immune system, blood pressure, response to stress, and other essential functions. Vitamin C is necessary for your adrenals to produce these vital hormones. Low levels of vitamin C can inhibit the proper functioning of your adrenal glands and lead to chronic fatigue. Vitamin C is found in citrus fruits, like oranges and lemons, and papaya, guava, and strawberries. Vegetable sources of vitamin C include broccoli, kale, and yellow bell peppers. White blood cells require very high amounts of vitamin C to function properly. Boosting your intake of vitamin C through supplementation may be necessary to meet this demand. A fantastic source of supplemental vitamin C is Super C. Super C combines high-potency vitamin C with a natural citrus bioflavonoid complex. This combination works synergistically to provide broad-spectrum antioxidant protection and support a wide range of metabolic functions. For more ways to boost your vitamin C levels, check out this article. Iron is an essential mineral for your health (9). It is necessary for transporting oxygen around the body and producing energy. Low iron levels can lead to chronic fatigue. Most of the iron in your body is in your red blood cells. Almost two-thirds of the body’s iron is found in the hemoglobin (a protein in red blood cells) present in circulating erythrocytes. Red blood cells carry oxygen from your lungs to your organs and tissues. Iron deficiency anemia is when there is not enough iron in your red blood cells. Symptoms of iron deficiency are fatigue, irritability, difficulty concentrating, dizziness, headaches, coldness in the hands and feet, and brain fog. Common causes of iron deficiency are a poor diet, blood loss, the decreased ability to absorb iron, and pregnancy. To increase your iron levels, you should consume iron-rich foods. Iron is found in two forms in foods, heme and non-heme. Heme iron is more readily absorbed and is found in animal products. Non-heme iron is found in plants, including lentils, nuts, seeds, and leafy greens. If your lab results show low iron levels, you may need supplemental iron. Iron Power contains iron bis-glycinate, a gentler form of iron with less gastrointestinal side effects. This form is shown to have higher rates of absorbability and results in faster increases in iron measures such as serum ferritin. A common nutritional deficiency in people with chronic fatigue is omega-3 fatty acids. Omega 3s are essential fats that our bodies require for normal functioning. The main omega-3 fatty acids are alpha linoleic acid (ALA), eicosapentaenoic acid (EPA), and docosahexaenoic acid (DHA). Omega-3 fatty acids have extensive health benefits. They can improve chronic fatigue by reducing inflammation, modulating immune responses, and improving brain function. Our bodies cannot produce omega-3 fatty acids, so we must obtain them from food or supplementation. Omega-3 fats are found in fatty fish such as wild-caught salmon and sardines, grass-fed meats, pasture-raised eggs, nuts (especially walnuts), and seeds (flax, hemp, pumpkin and chia seeds). It can be difficult to maximize your levels of omega-3s with food, so supplementation may be beneficial. An excellent supplement with omega-3 fatty acids is ProOmega CRP. ProOmega CRP has 1260 mg of EPA and DHA, concentrated Omega-3 fish oils. It also contains Optimized Curcumin, L-Glutathione, and N-Acetylcysteine (NAC). This unique combination makes ProOmega CRP one of the most powerful supplements available for down-regulating inflammation and oxidative stress quickly. This can help improve your anxiety, depression, and irritability. Zinc is an important mineral that plays a major role in various physiological processes. Functions of zinc include decreasing inflammation, suppressing abnormal tissue growth, and supporting healthy immune function. Zinc has antioxidant properties and protects our cells against damaging free radicals. It also contributes to the proper production of thyroid hormones, increases the conversion of T4 to T3, and improves cellular sensitivity to thyroid hormones. Zinc levels have been found to be lower in people with CFS (10). Good dietary sources of zinc include grass-fed beef and dairy, salmon, chicken, spinach, and asparagus. Nuts and seeds such as cashews, almonds, pumpkin seeds, and watermelon seeds are also high in zinc. It is best to soak or sprout nuts and seeds to reduce the level of phytic acids which can adversely affect zinc levels. If you are deficient in zinc, supplementation may be appropriate. Zinc Charge is a high-potency source of zinc formulated for enhanced absorption. Zinc Charge supports your immune system and proper enzymatic function. B vitamins are necessary for converting food into energy. Without adequate amounts of B vitamins, the ability of your mitochondria to generate energy will be diminished. This can lead to chronic fatigue. Foods that are rich in B vitamins include beans and peas, beef, wild-caught fish, pastured chicken and turkey, green leafy vegetables, dairy, and eggs. It can be difficult to obtain adequate amounts of all of the B vitamins from food. Supplementation with a high-quality B complex is a great way to ensure you have optimal amounts of these important vitamins. B Strong is a vitamin B complex which includes vitamins B1, B2, B3, B5, B6, B7, B9 (folate), and B12 (as methylcobalamin). This combination of B vitamins supports mitochondrial, adrenal, and neurological function. Including a B complex multivitamin can be an effective strategy for improving chronic fatigue. A common vitamin deficiency that we see in clients with chronic fatigue is low vitamin B12. Vitamin B12 is critical for neurological, cardiovascular, digestive, and immunological function. It is involved in the metabolism of every cell in the body and crucial for many processes including DNA synthesis and energy production. Vitamin B12 deficiencies are often related to low stomach acid production, an H pylori infection, or a vegan/vegetarian diet. Low energy and chronic fatigue are the major symptoms of vitamin B12 deficiency. Other symptoms are depression/anxiety, muscle weakness, irritability, memory loss, easy bruising or bleeding, and rapid heartbeat. Vitamin B12 is found in animal products such as grass-fed beef, wild-caught fish, eggs from pastured chickens and grass-fed, raw cheeses. To correct deficiencies of B12, you should consider supplementation. The best form of supplemental B12 for optimal absorption is methylcobalamin. B12 Power contains this bioactive form of vitamin B12 which is better utilized by the body. The mitochondria generate energy in our bodies and are involved in major metabolic functions. In addition to producing 90% of cellular energy in the form of ATP, they protect your DNA, maintain glutathione levels, signal cell reproduction, and activate cell apoptosis. Supporting these unique organelles with nutrients can be beneficial to ensure healthy functioning of the mitochondria. Nutrients that have been shown to improve mitochondrial function include Alpha-lipoic acid (ALA), L-Carnitine, B vitamins, and Coenzyme Q10 (CoQ10). A fantastic supplement that contains these key nutrients to support the function of the mitochondria is Mito Support. Mito Support is a blend of nutrients, nutraceuticals, botanicals, and Kreb’s cycle intermediates. This powerful formula supports efficient mitochondrial metabolism and energy (ATP) production for increased vitality. Mito Support can be an extremely beneficial supplement for anyone struggling with chronic fatigue or low energy levels. Ketones are a byproduct of fat metabolism and a powerful source of energy for your cells. They provide steady, clean fuel to energize your body. To use ketones for fuel, a person must remove dietary carbohydrates so that their body will burn fat for fuel. The body digests the fats, transports them to the liver, and converts the fats into ketones which are then transported to the cells for energy. Exogenous ketones can be used to supply the body with a direct source of ketones that requires almost no processing by the digestive tract and liver. 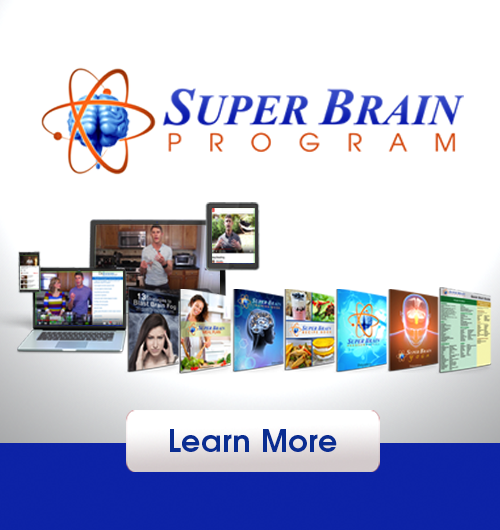 This dietary supplement provides quick energy and enhances the performance of your brain and body. KetoEdge is a revolutionary product that contains exogenous ketones, MCT powder, sunflower lecithin (to support brain and nervous system function), amino acids, and superfood mushrooms. KetoEdge improves brain function and the body’s ability to resist, adapt to, and recover from stress more effectively. It is also full of powerful antioxidants which can protect the body from oxidative stress. 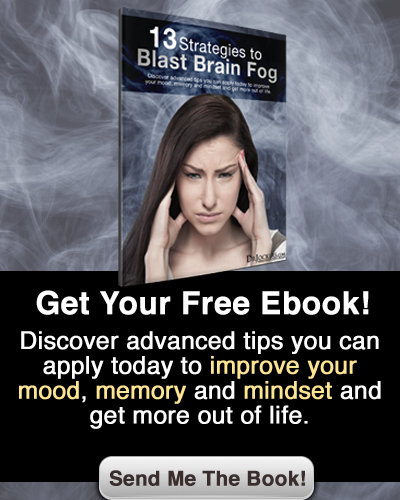 This can be very beneficial for anyone with chronic fatigue. It is important to look at various reasons you may be deficient in nutrients. In addition to poor diet, there are numerous causes of nutrient deficiencies. It is important to address these underlying issues to improve nutrient absorption and correct deficiencies. Stomach acid and digestive enzymes are important for absorbing nutrients from food. Both play a critical role in digestion and nutrient assimilation. Optimizing digestion and the absorption of nutrients is important for improving chronic fatigue. Low stomach acid creates a cycle of poor digestion, gut inflammation, microbial overgrowth, leaky gut, elevated stress hormones and decreased nutrient absorption. Enzymes are key for breaking down carbohydrates, protein, and fatty acids. This prepares these macronutrients for proper digestion and assimilation in the body. Two excellent supplements for optimizing digestion and nutrient absorption are Acid ProZyme and SuperDZyme. Acid ProZyme contains a variety of compounds which support gastric acidity, digestion, and normal gastrointestinal flora. SuperDZyme has a wide variety of bioavailable enzymes and survives in a wide pH Range, such as that found in the stomach and small intestine. Your gut lining is only one layer of cells thick with tight junctions that allow only certain things to pass through to the bloodstream. It regulates the absorption of nutrients from food. When the gut lining is damaged, you do not absorb nutrients as well which can lead to nutrient deficiencies. A damaged gut lining is referred to as intestinal permeability or leaky gut syndrome. Consuming GMO foods, pesticides, chlorinated water, antibiotics, and processed foods can damage the lining. As a result, the tight junctions become loose and larger food molecules can enter the bloodstream. When the body encounters larger food molecules, it mounts an attack, mistaking them for foreign pathogens. This leads to food allergies, autoimmunity, chronic inflammation, and reduced nutrient absorption. An excellent supplement for improving leaky gut is Gut Healing Protein. This protein powder is a comprehensive, low-allergy potential, dietary supplement designed to support gastrointestinal function and balanced detoxification. It contains 26 grams of high quality vegan-based protein and clinical dosages of key micronutrients, including amino acids and antioxidants to heal and repair the gut. When cortisol is constantly spiking due to blood sugar imbalances, your body has a decreased ability to make digestive enzymes. As discussed above, digestive enzymes are critical to the absorption of nutrients from foods. 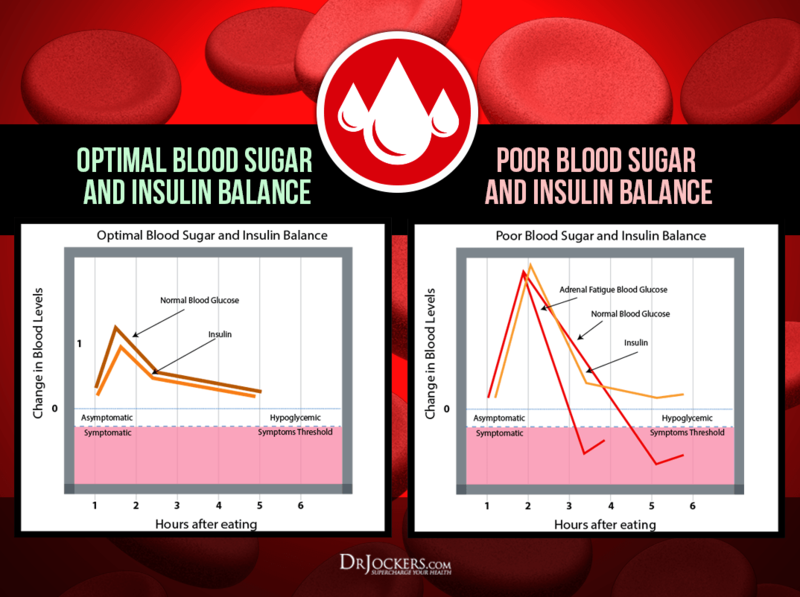 Therefore, blood sugar imbalances can lead to nutrient deficiencies. High Energy Support is a multivitamin/mineral formula with a balanced profile of nutrients that can help balance blood sugar levels. The micronutrients in High Energy Support are provided in bioavailable form so they can be better absorbed and utilized. In addition to balancing blood sugar levels, High Energy Support improves energy levels, improving detoxification, and protects the body from oxidative stress. Chronic stress creates inflammation in the gastrointestinal tract impairing the absorption of nutrients. Stress activates the “fight or flight” response in the central nervous system which can slow down or even stop the digestive process as the body diverts its energy to face the perceived threat. This can lead to malabsorption of nutrients. It is critical to address chronic stress to improve nutrient absorption and overall health. It is important to test for nutrient deficiencies and possible underlying causes of your chronic fatigue. The Complete Thyroid Report and Organic Acids Test can reveal insight into the numerous physiological and metabolic processes of your body. With this valuable information, your functional medicine provider can develop a protocol to help improve your energy levels and reduce your chronic fatigue. The Complete Thyroid Report is a comprehensive blood test that shows your immune function, thyroid function, blood sugar regulation, liver function, nutritional deficiencies and much more. It includes a Complete Blood Count, Complete Metabolic Panel, Urinalysis, Lipid Panel, and Thyroid Panel. The Complete Thyroid Report tests should be run regularly as a preventative measure and to monitor conditions or causes of your chronic fatigue. Information about the Complete Thyroid Report can be found here. The Organic Acids Test (OAT) is a comprehensive test that gives metabolic insight into a person’s overall health. The OAT is a simple, non-invasive, at home urine test that gives a great deal of information for anyone struggling with chronic fatigue. The OAT has over 70 markers including vitamins and antioxidant deficiencies, oxidative stress, mitochondrial function, energy production and more. It looks at Krebs cycle metabolites which can show mitochondrial energy pathway dysfunction and deficiencies in important vitamins and enzymes needed for optimal mitochondrial health. For more information about the Organic Acids Test and how to order, look here. Chronic fatigue is persistent and unrelenting exhaustion that can negatively impact all aspects of a person’s life. It is often related to poor diet and lifestyle factors but can also be due to an underlying health condition. Nutrient deficiencies are common in people with chronic fatigue. Magnesium, vitamin D, vitamin C, zinc, B vitamins, iron, potassium, and vitamin B12 are all critical nutrients for energy production. Correcting any deficiencies and optimizing your levels of these key nutrients is can increase your energy levels and improve chronic fatigue. Mitochondrial support nutrients and exogenous ketones can also helpful for anyone struggling with low energy or fatigue. The Complete Thyroid Report and Organic Acids Test can identify nutrient deficiencies and underlying causes of your chronic fatigue. This provides your functional medicine practitioner with crucial information necessary to develop an effective protocol for you. Glad to hear this Cath! !